A YouTuber and his five-year-old daughter worked together to create an adorable fan film together that's inspired by No Man's Sky. Titled Nomad Squadron, this 10 minute film shows Amelia, the five-year-old girl, and her squad members (who include guest stars Kinda Funny's Greg Miller and Austin Creed aka wrestler Xavier Woods) exploring the depths of space and infiltrating an alien world. It's cute, funny, and thrilling to watch. Creator Matt Silverman explained in a subreddit that one of the most complicated parts of putting the film together wasn't actually the filming itself. The film uses recorded in-game footage from No Man's Sky and the actors were carefully edited in, which is pretty neat. "Compositing the game footage and getting everything to look cinematic was the biggest challenge," he wrote. The film even caught the attention of No Man's Sky creator Sean Murray, who called the movie "heartbreakingly sweet." 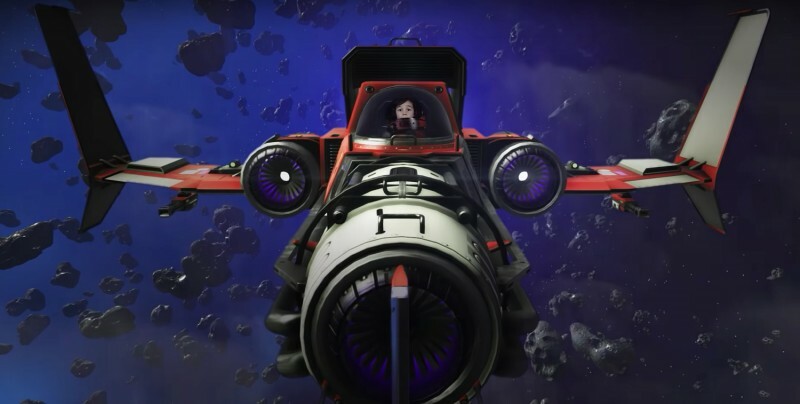 For more on No Man's Sky, read our thoughts about last summer's NEXT expansion that brought a number of upgrades to the space sim.